Vintage Original Avengers. First Silver Age appearance for each prominent original Avenger (with some color enhancements). 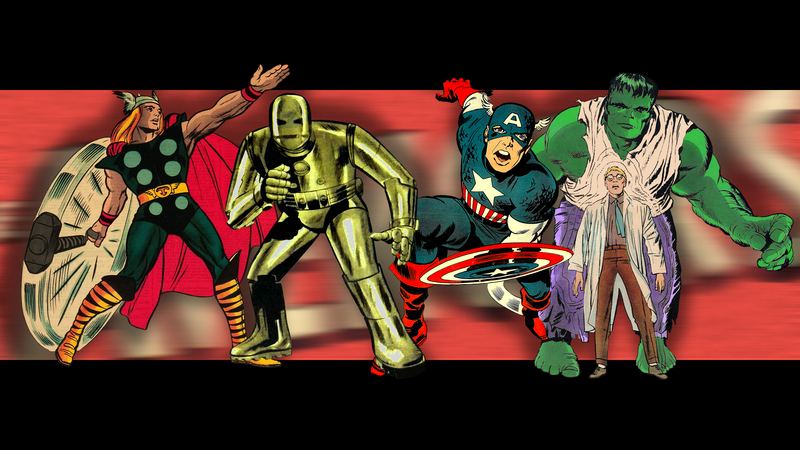 HD Wallpaper and background images in the Avengers: Earth's Mightiest Герои club tagged: photo avengers thor iron man captain america the hulk silver age vintage. This Avengers: Earth's Mightiest Герои wallpaper contains аниме, комиксы, манга, анимационные фильмы, комикс, мультфильм, and книга комиксов.